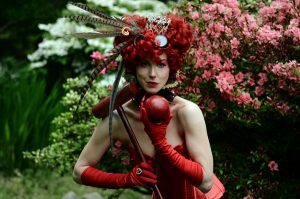 Join the Brass Screw Confederacy for its seventh annual Steampunk Festival. This year we celebrate the extraordinary derring-do of our favorite intrepid adventurers - you! That time you confronted the bumblesnatch in its lair armed with only a tea cozy? That expedition to Mazatlán to discover the secret of perfect pitch? Let us reconvene in comfort amongst congenial companions and compare past encounters in conspiratorial competition. And to encourage you, the Brass Screw Crew will once again bring you your favorite bands, stars, bodger exhibitions, spectacular vendors, and more to delight and entertain. 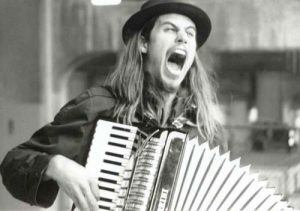 This year the Brass Screw Confederacy proudly welcomes to our Saturday night Hootenanny the hard-stompin' Jason Webley, a gritty, smokey-voiced native son of the Northwest. If you have not heard him perform, be prepared to find what you've been looking for in voice and feeling. Friday night's Den of Iniquities moves to a grander locale replete with burlesque elegantly curated by our own Vermicious Knid included in an eye-popping variety show. We welcome the return of Hot Damn Scandal, tipsy gypsy swing at its finest. We're also proud to introduce the house band for Friday night, Douglas Francisco and the Shaky Barbers. If any band of brothers ever embodied a bucket of iniquities, these is them.